40x16x1.5 abstract acrylic painting on canvas. 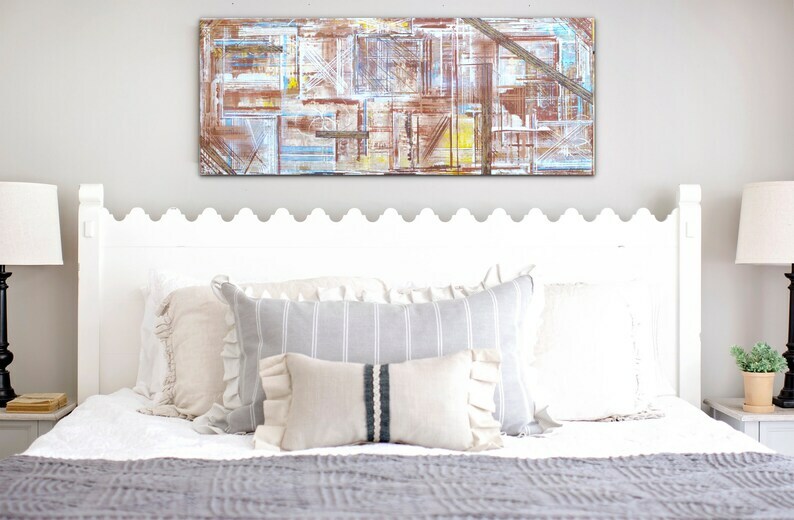 There is so much geometrical texture to this painting that you have to see the close up pics I posted. I love textured art. It has so much depth to it. Colors: umber, white,pale yellow, dark blue, black, light blue,cream,gold,copper & tan. The sides are painted umber and there is no frame needed. three coats of varnish to protect it from the elements. Signed, wired and dated on the back so it's ready to hang.